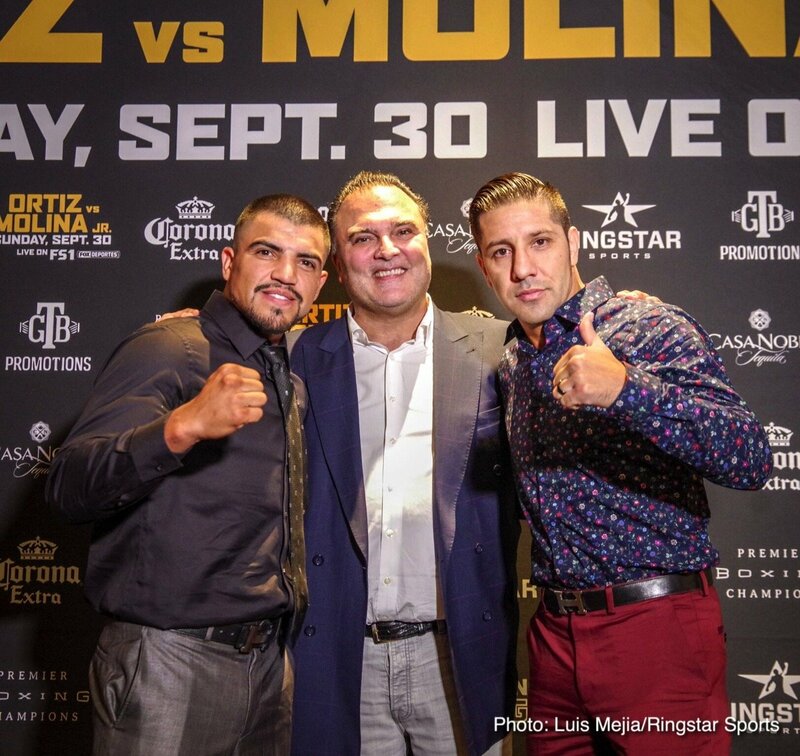 Former welterweight world champion Victor Ortiz and hard-hitting former title challenger John Molina Jr. spoke with media in Los Angeles Tuesday at a luncheon to discuss their upcoming showdown headlining Premier Boxing Champions on FS1 and FOX Deportes Sunday, September 30 from Citizens Business Bank Arena in Ontario, California. 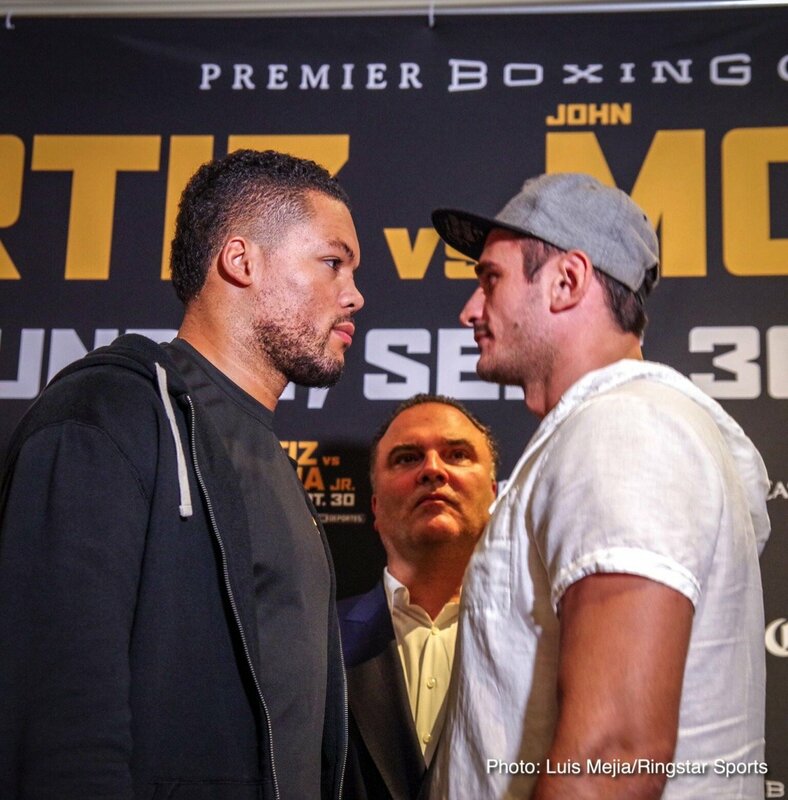 Joining them at the press conference and competing in televised action on FS1 and FOX Deportes were 2016 Olympic Silver Medalist Joe Joyce and heavyweight Iago Kiladze, who meet in an eight-round showdown, plus rising unbeaten prospect Karlos Balderas, who steps into the ring for a six-round attraction. Tickets for the event, which is promoted by TGB Promotions and Ringstar Sports, are on sale now and can be purchased at Ticketmaster.com. 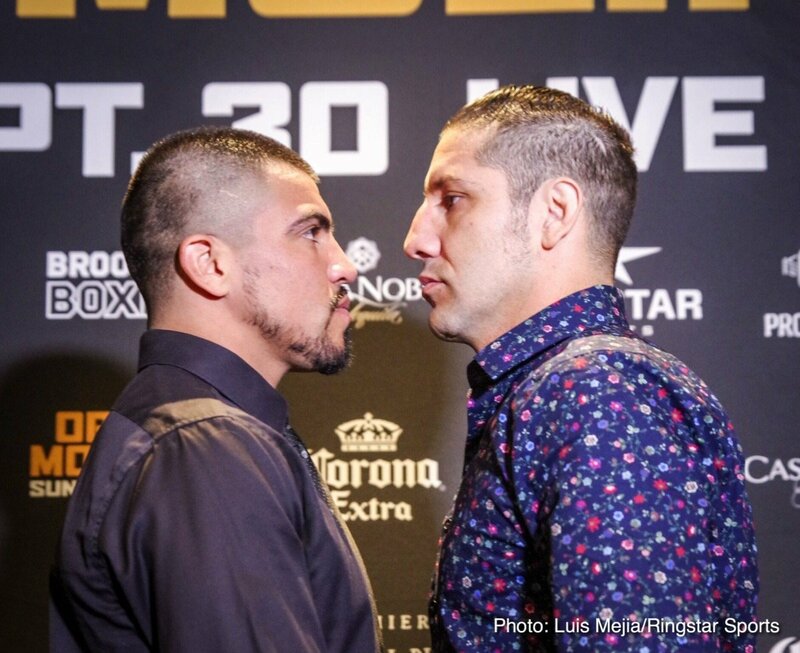 Televised coverage begins at 9 p.m. ET/6 p.m. PT and also features Uubeaten featherweight contender Brandon Figueroa taking on rugged veteran Oscar Escandon and 2016 Nigerian Olympian Efe Ajagba returning to the ring in a six-round heavyweight fight. “John Molina Jr. is an amazing warrior just like myself. He’s got a huge heart and he’s not going to back down and neither will I. It’s going to be a great fight. “John and I have known each other for many years. I’m not one to bad mouth anybody, but especially this guy. We’re in this to go to war on September 30. I fight violently and I can’t change that. I hope at the end of the day it gives people a fun showdown. “I’m happy to be back in this position as the main event and for it to be in Southern California is even better. I’m humbled to have this opportunity. “I still feel strong and powerful and I’m not going to waste this time I have to still compete at the highest level. I’m ready to go out there and put on another war for the fans. 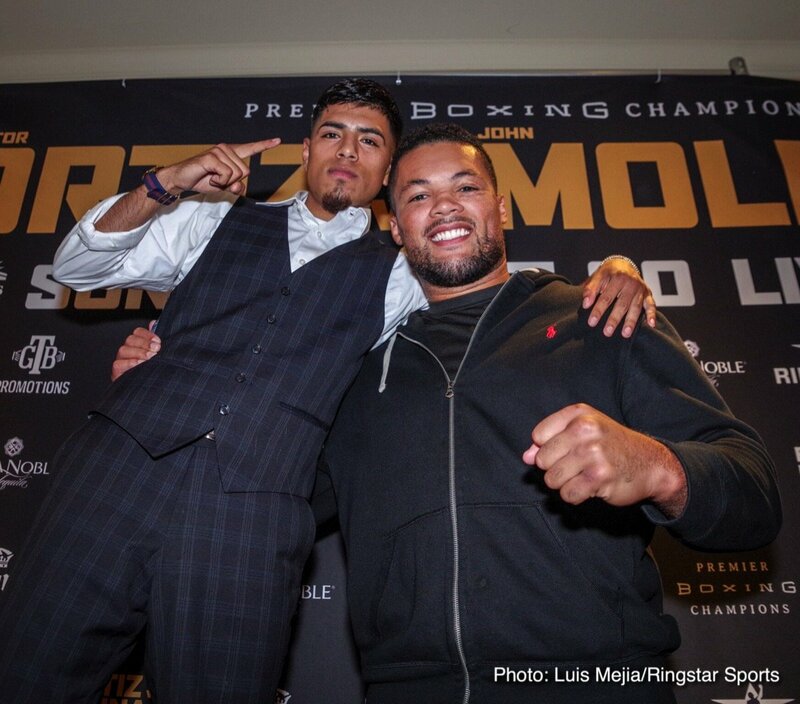 “I’m grateful to Victor Ortiz and his team for accepting this challenge. We have nothing but respect for each other. My only prediction is that September 30 is going to be two guys coming to win and two guys refusing to go home with a loss. “I know that Victor is going to be up in my face and that’s exactly my style and how I like to fight. It’s got all the makings of an all-action brawl. “In this business we have to fight people we know very well. This is how we feed our families so we take it extremely seriously. I know we’re both going to be prepared and the best man will win. “Every time I get into the ring it’s a war. My way of boxing has always been to fight the toughest guys and Victor is certainly no slouch. He’s a tremendous fighter. He’s explosive and it’s going to make it a great fight. “In a fight like this you’re going to have fireworks. Victor is a big, strong guy who’s coming to win. He wants to get back to the mountain top. But there’s no quit in me. That’s the intrigue for this fight. Can I out will him? We’ll find out on September 30. “I have a plan, and a goal to get where I want to be to win a world title. I’ve settled into Big Bear to train and it’s like my second home. I’m looking forward to making my U.S. debut on September 30. “I’m going to show the American fans my style and put on a really good show and a strong performance. Stay tuned and watch my progression here in the U.S., because I’m going to be heavyweight champion of the world. “I’ve looked at Kiladze’s record and he has a good knockout percentage and he has a lot of good experience. He’s a strong guy but I’m just going to have to look a little more closely and work out his strengths and weaknesses and capitalize on that. “I have a very good and strong opponent but I am in great shape and I’ve had an incredible training camp. I’m ready to go and I know I’m going to come out with the victory. “Los Angeles is my adopted home and I love being able to fight here with those close to me watching. It’s going to give me more motivation to win this fight and help once fight week comes. “I’m really focused right now on finishing 2018 strong so I can pick it right back up in 2019. I’m going to continue to take my time and move forward, but I have my eye on a world title. My brother Jose Balderas will also be on the card, so we’re looking to both put on a show for everyone watching. “I’ve been getting better at controlling my emotions in the ring. Me and my brother get mentally prepared in camp so that when we get to the fight, it’s really just another day. “We’re just going to continue working and growing and building up our fan base step-by-step. We might start fighting on different cards down the road, but for now we enjoy fighting on the same night. 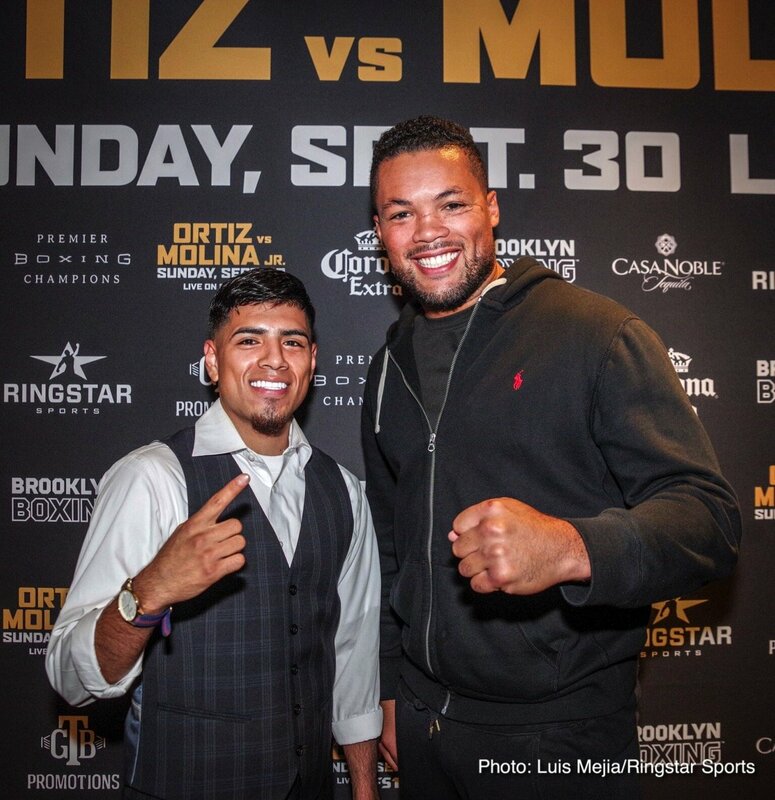 “This fight between Victor Ortiz and John Molina Jr. is a great cherry on top to a great month for the sport of boxing. This is an all-action brawl that will be toe-to-toe. That’s what the fight fans want to see and that’s what we are going to get. “This card is absolutely loaded. It is full of young talent and experienced fighters who are sure to put on a great night of action for the fans at Citizens Business Bank Arena.